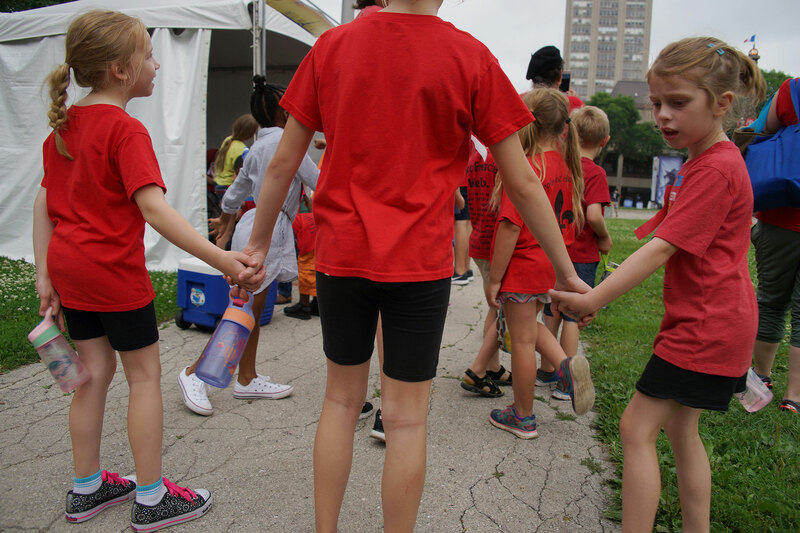 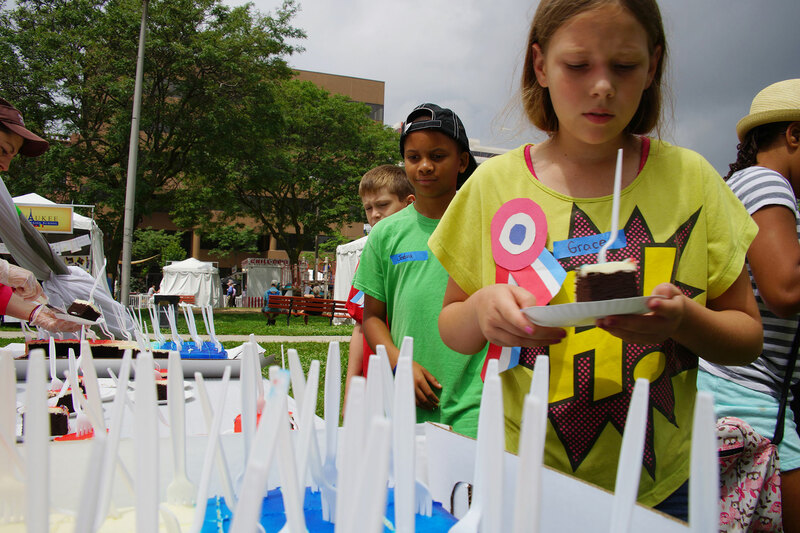 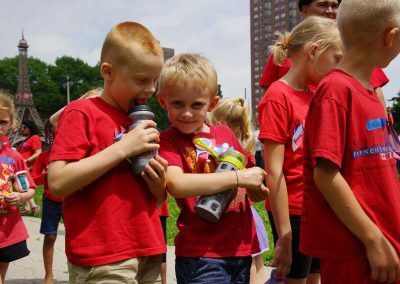 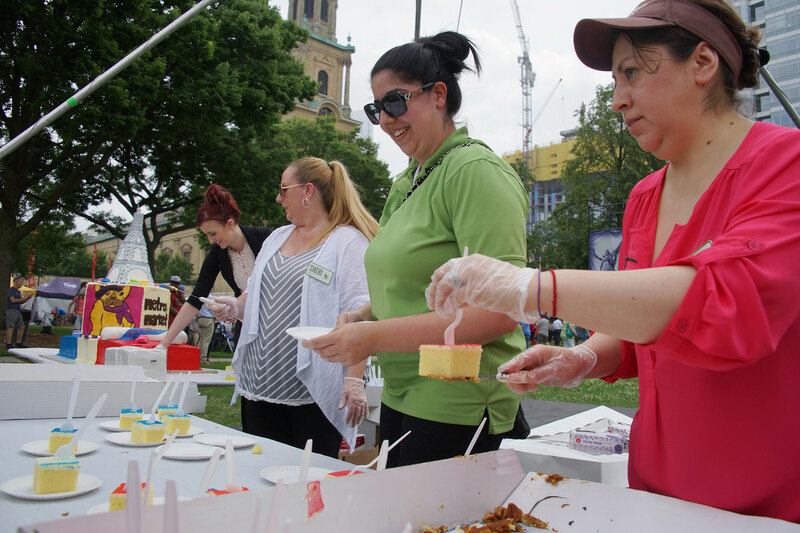 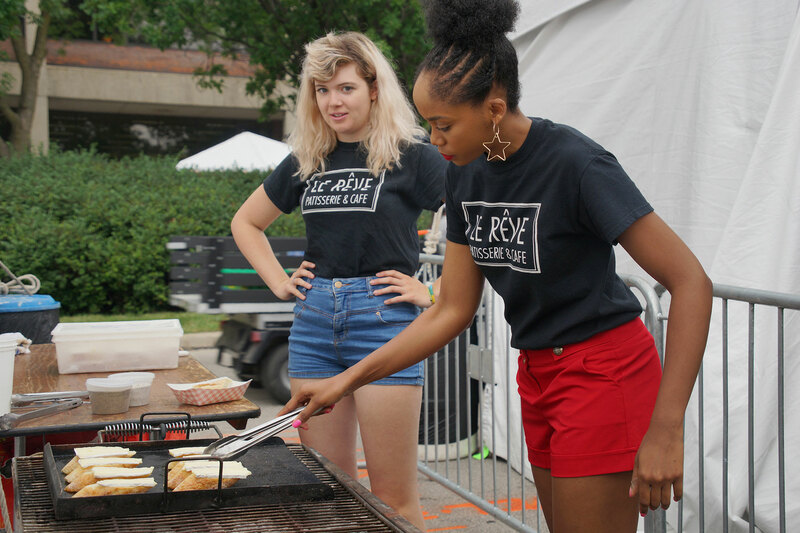 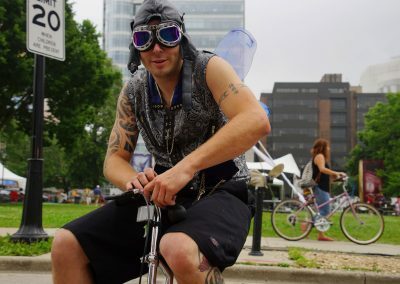 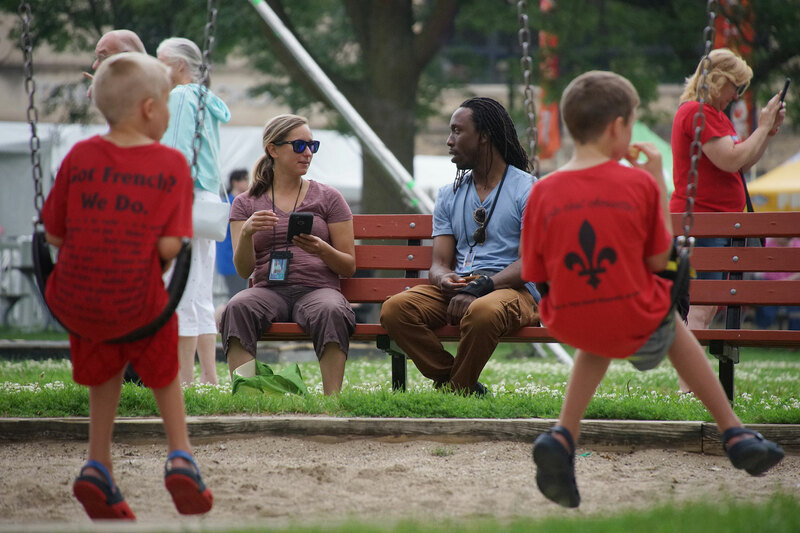 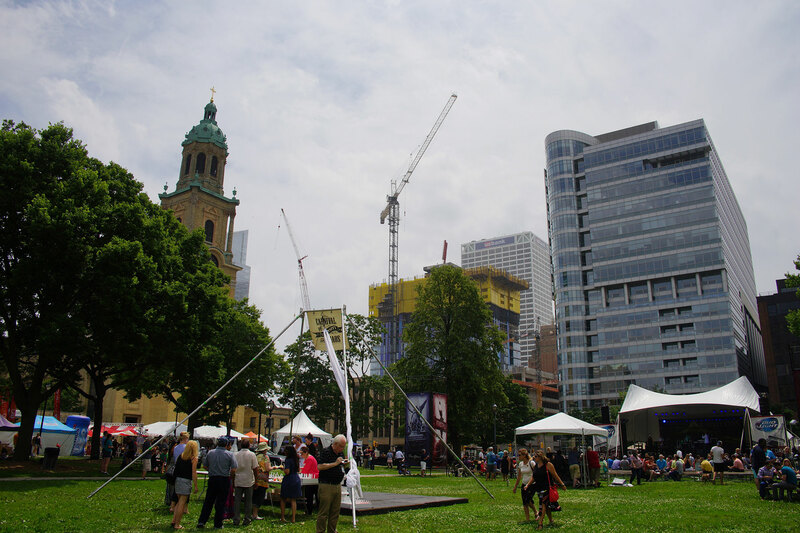 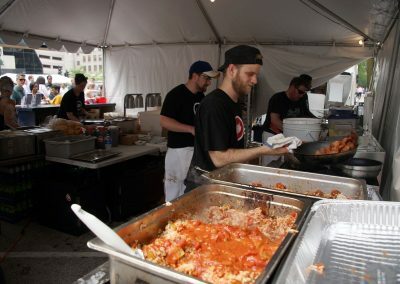 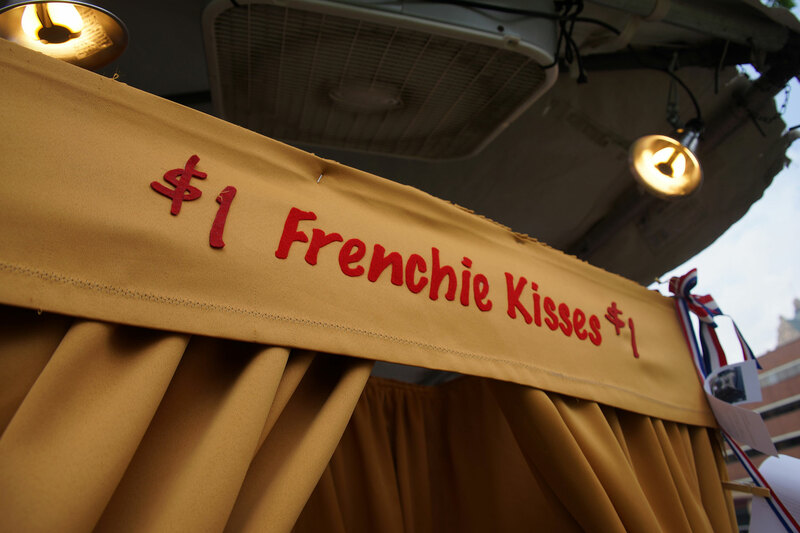 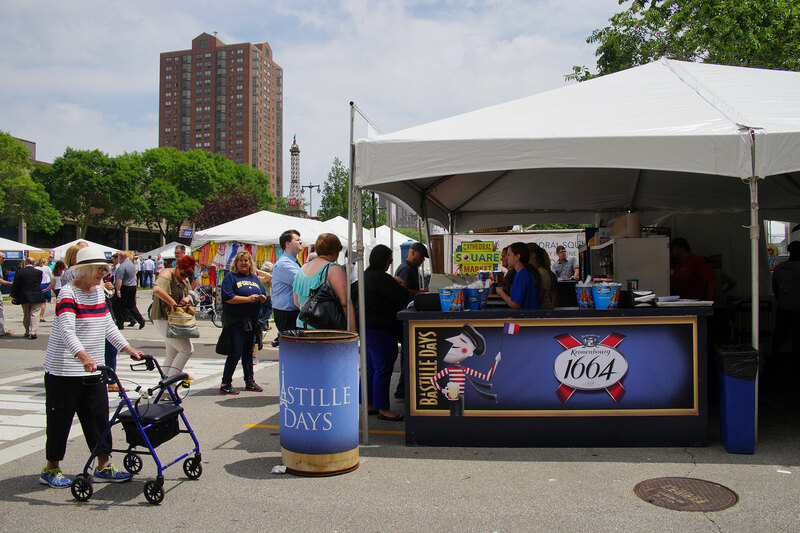 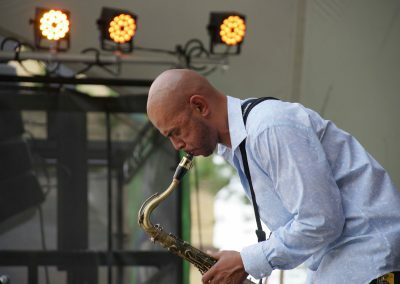 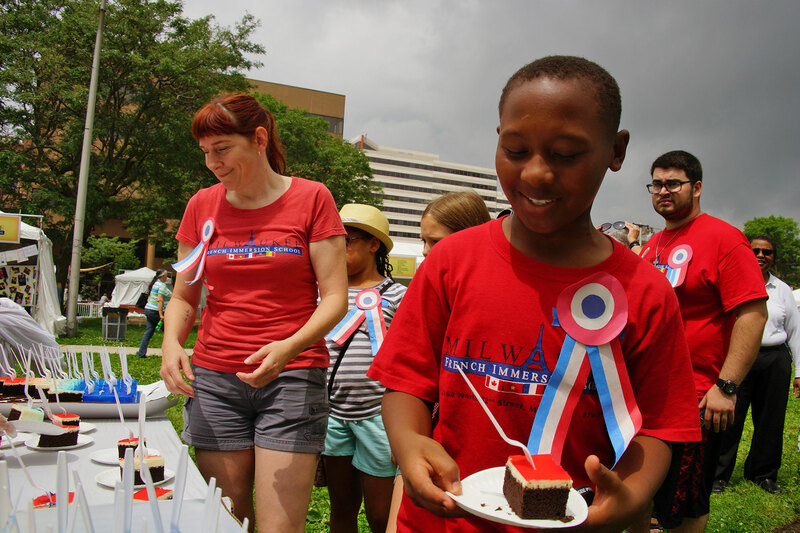 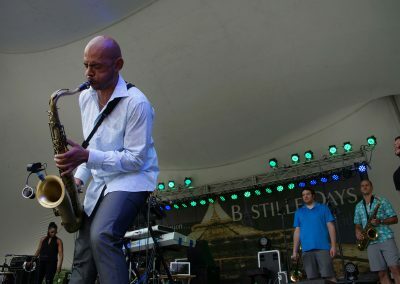 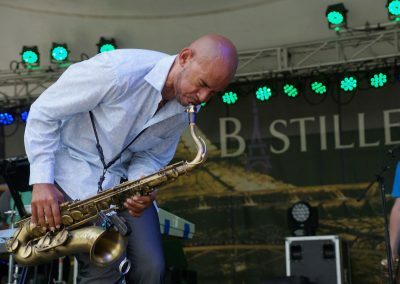 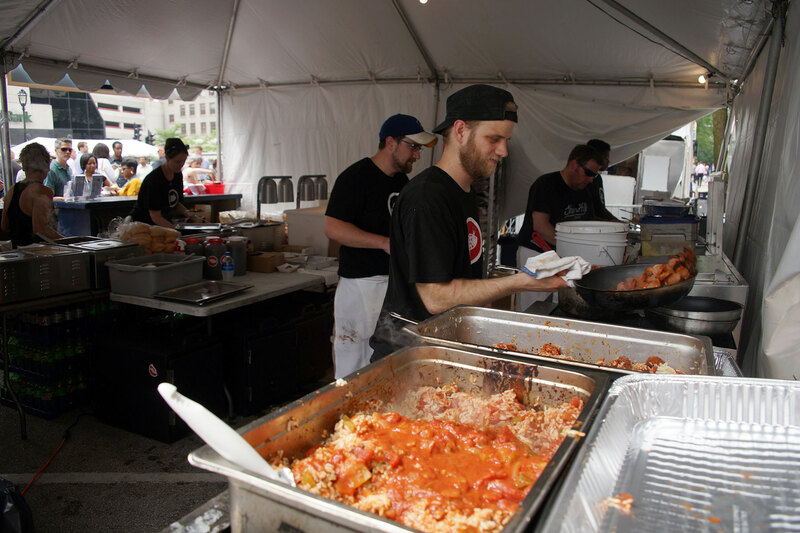 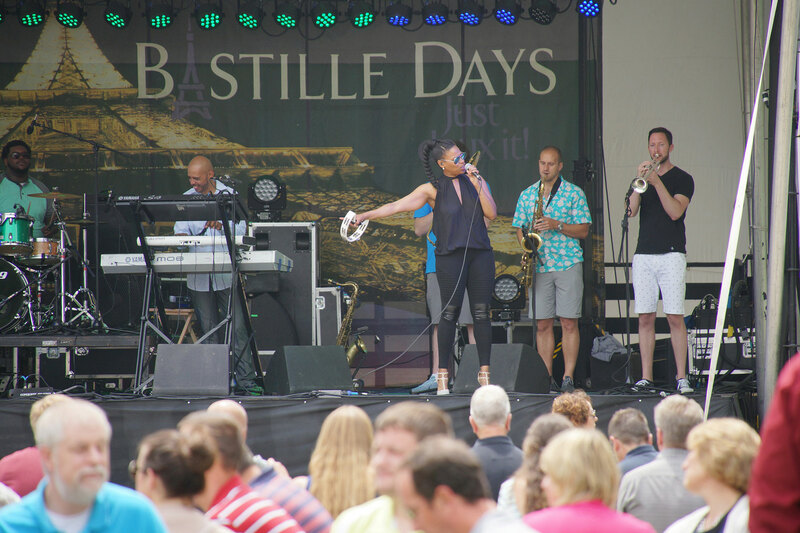 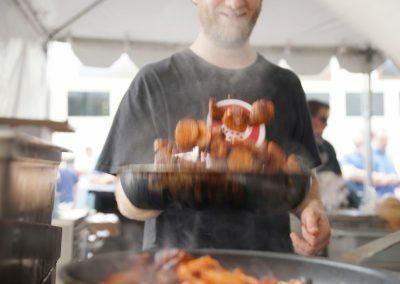 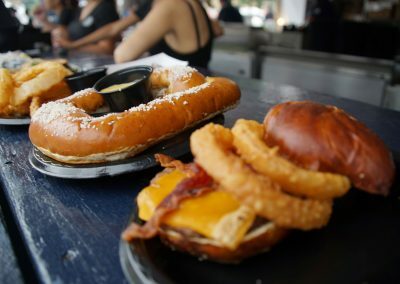 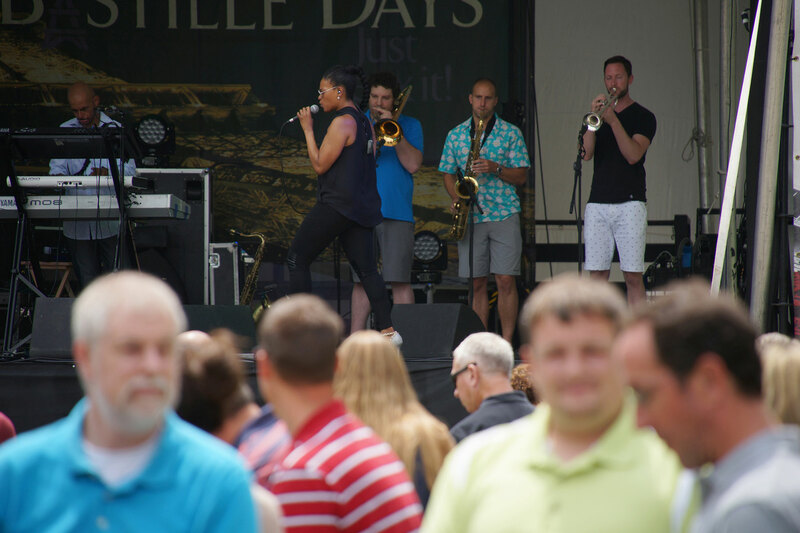 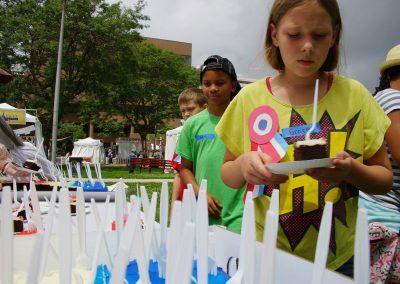 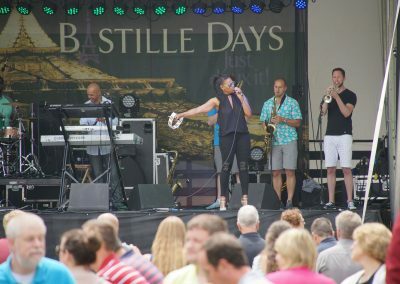 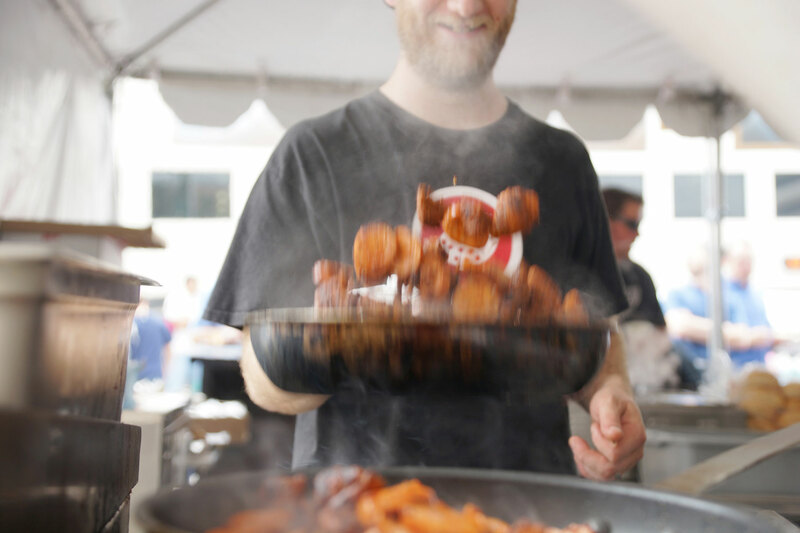 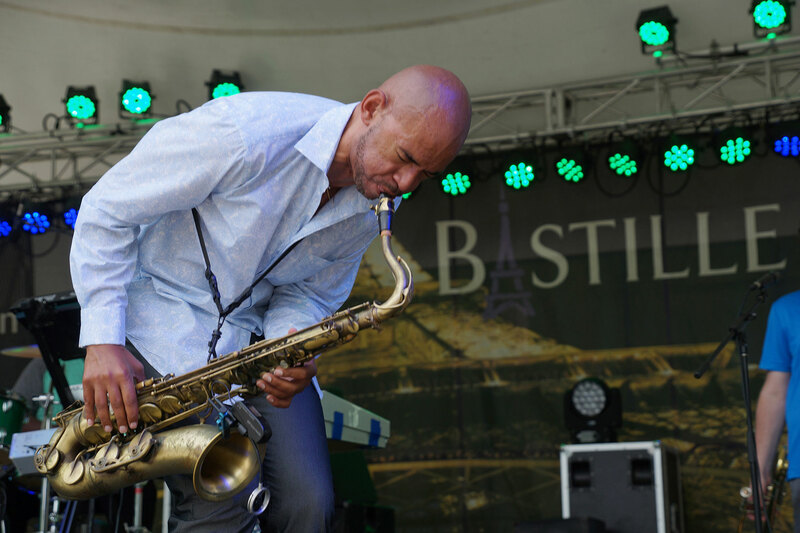 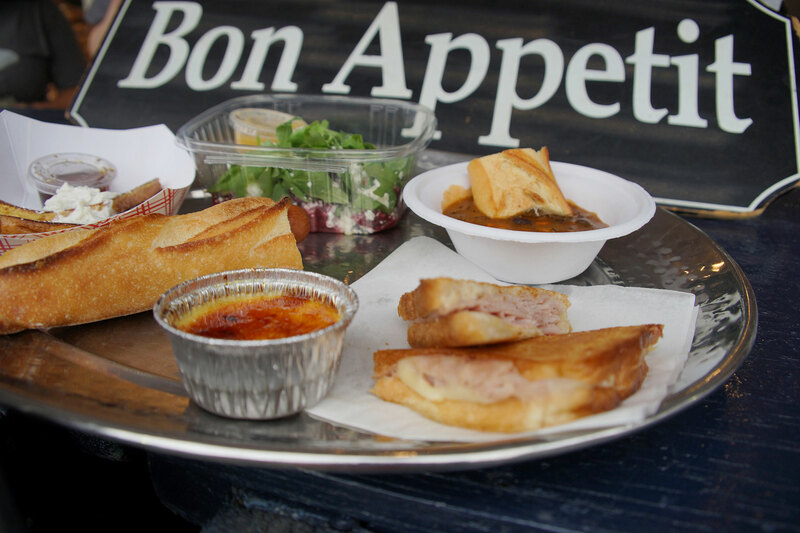 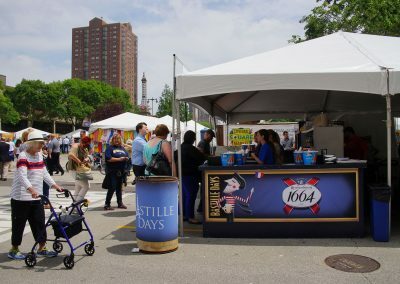 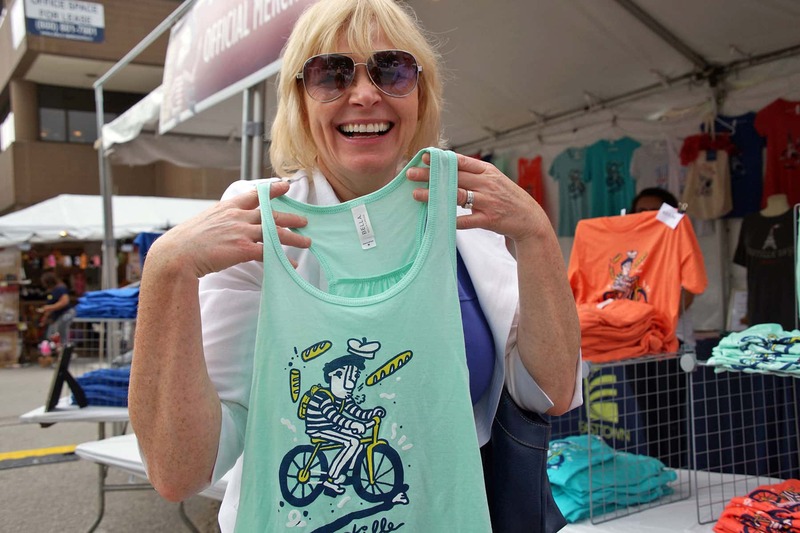 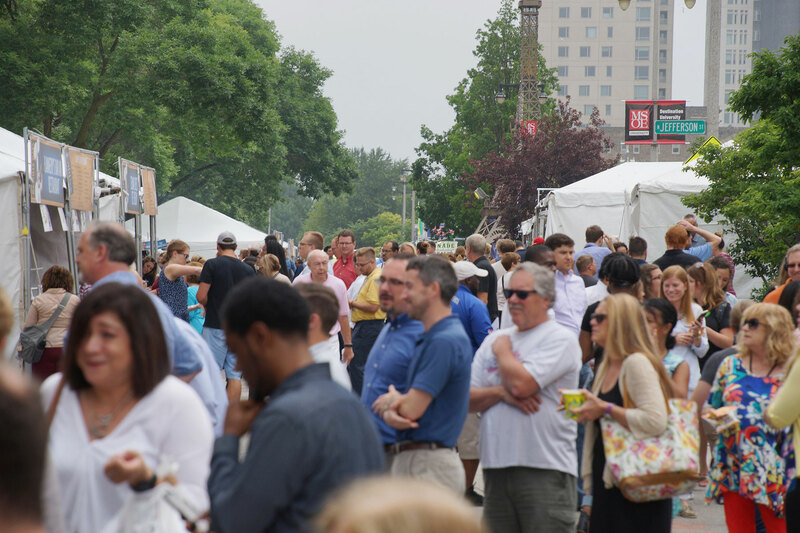 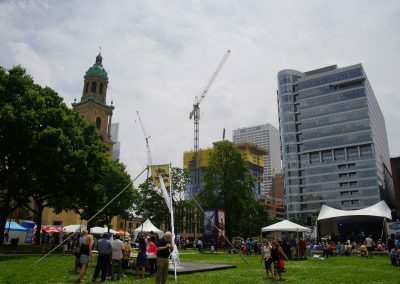 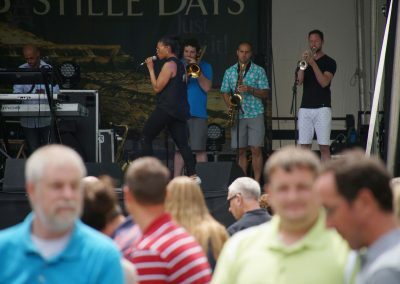 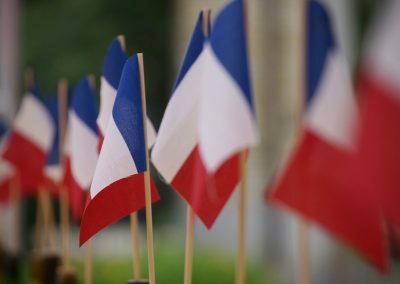 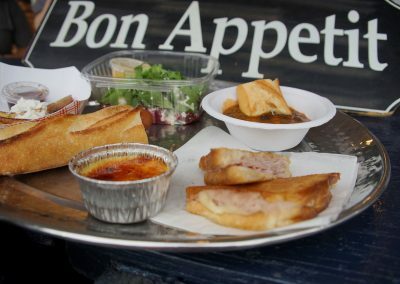 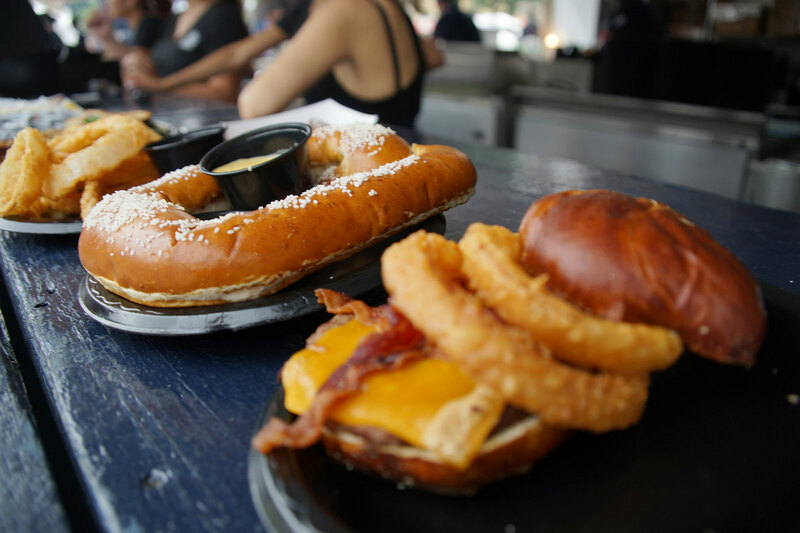 The 36th annual Bastille Days kicked off at Cathedral Square Park on July 13, bringing a taste of France to downtown Milwaukee over the next four days. 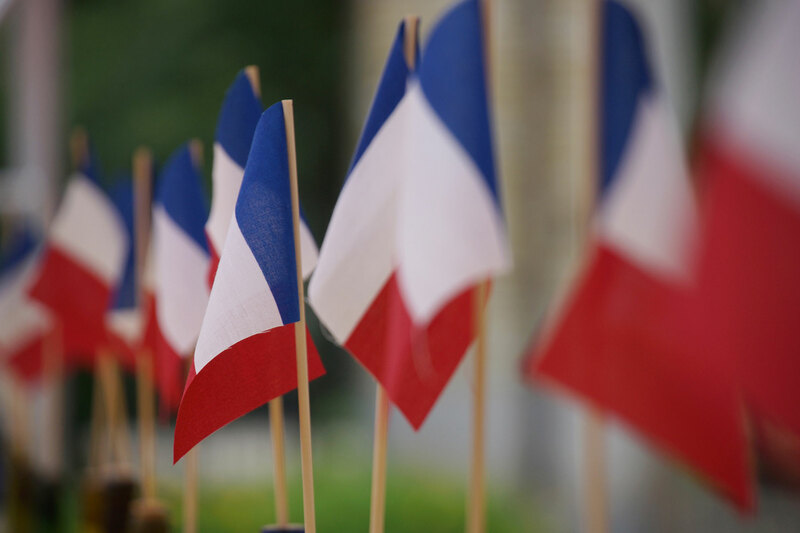 The French National Day, known as Bastille Day, commemorates the start of the French Revolution when the Bastille was stormed on July 14, 1789. 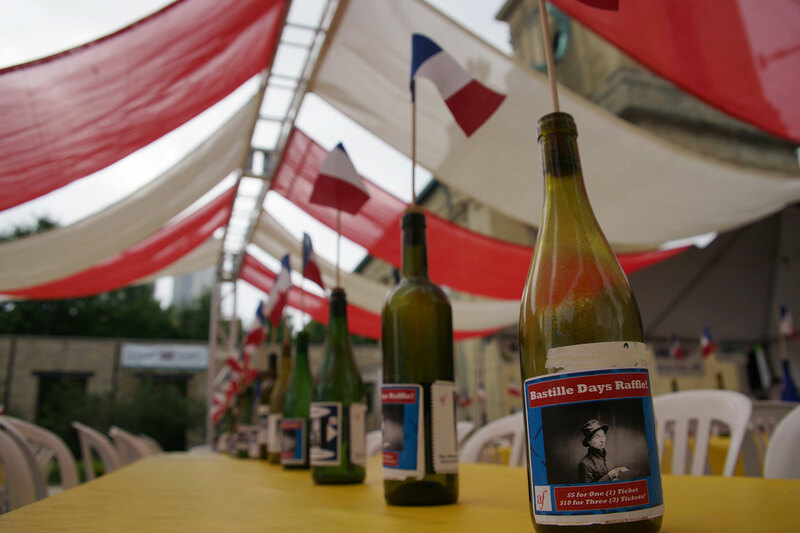 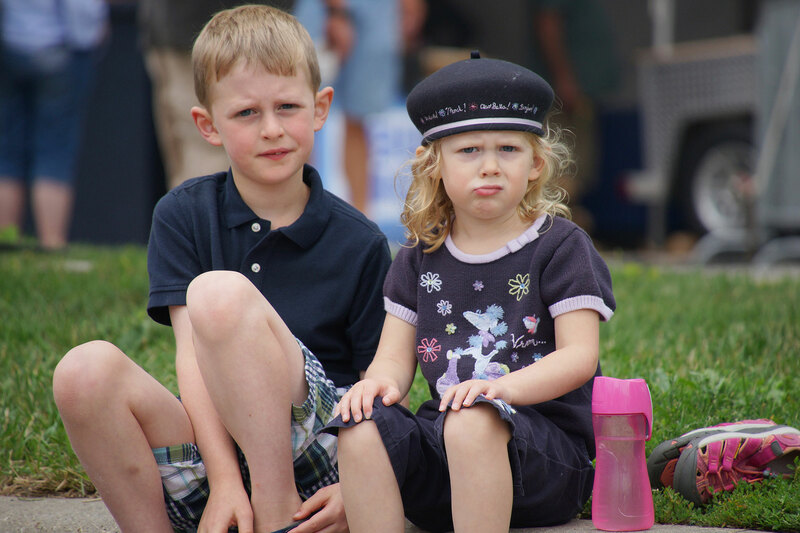 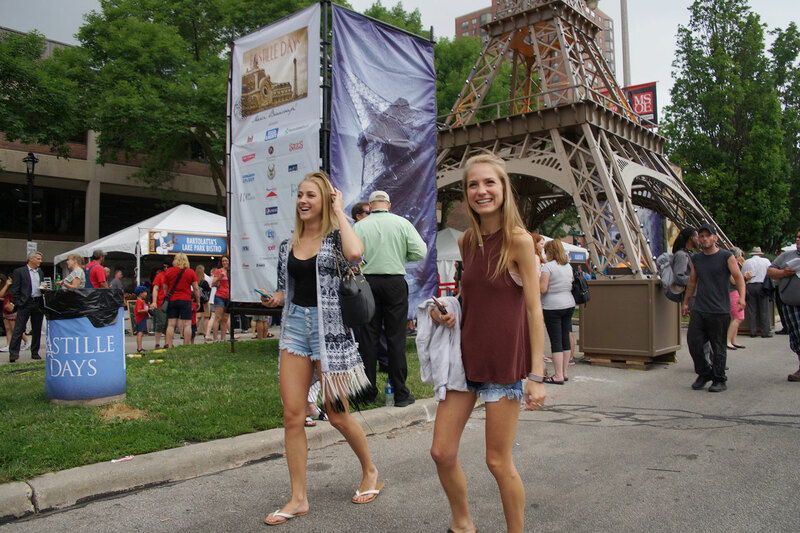 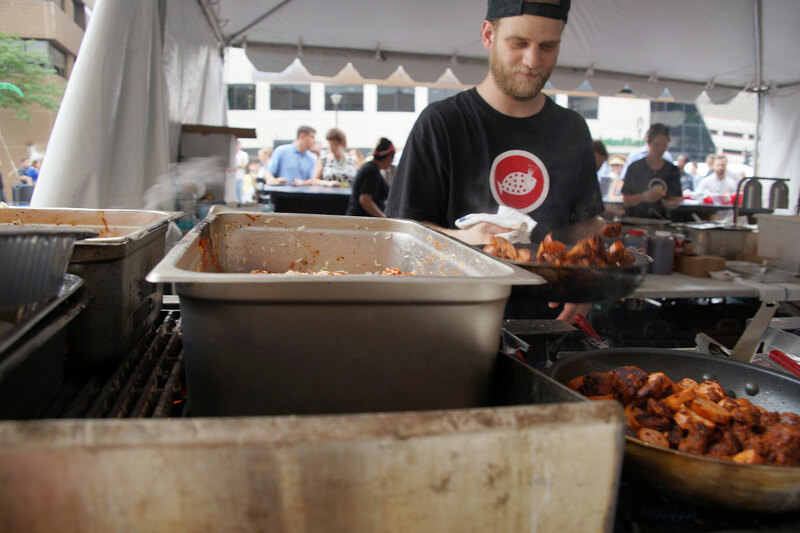 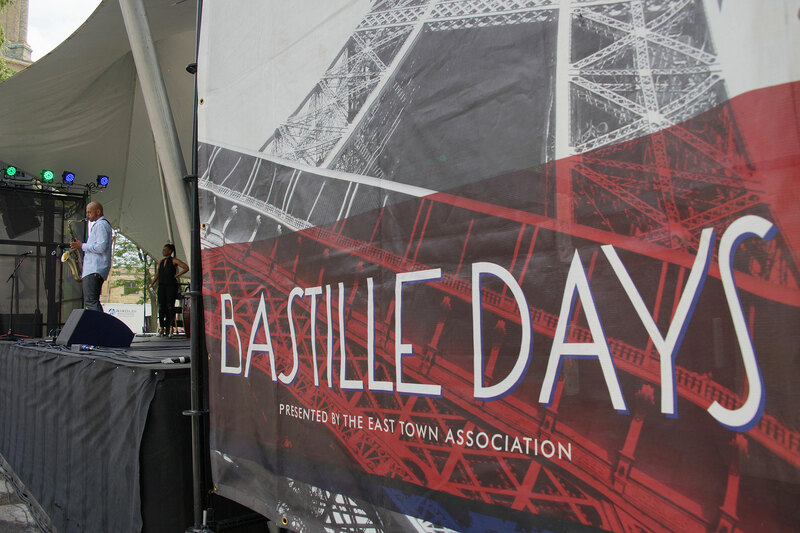 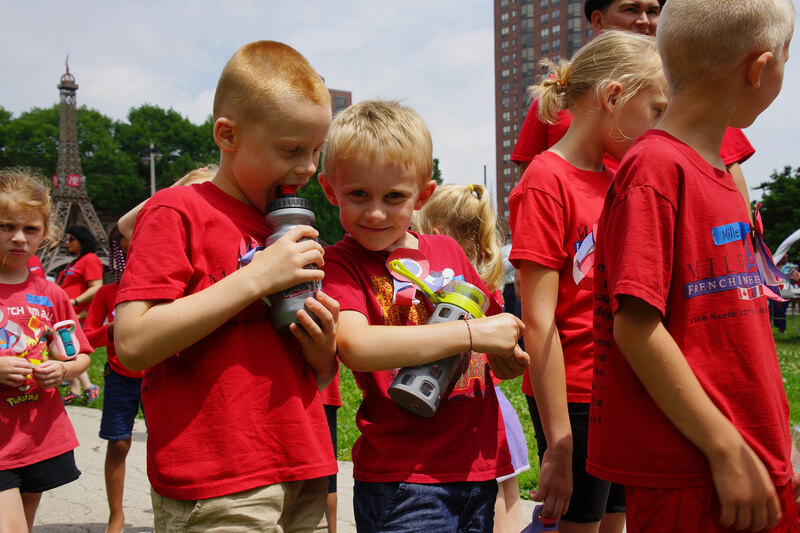 The celebration of Bastille Days in Milwaukee is one of the largest French-themed outdoor festivals in the country. 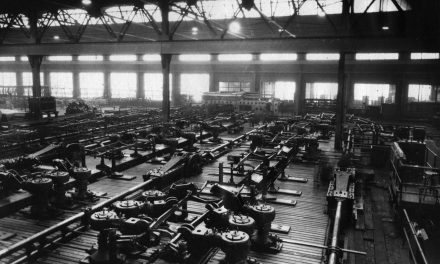 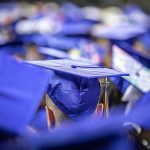 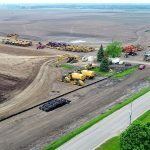 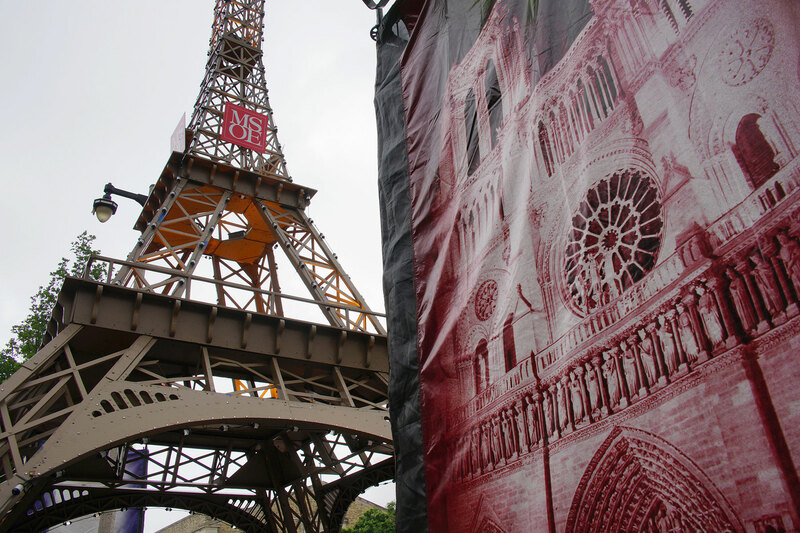 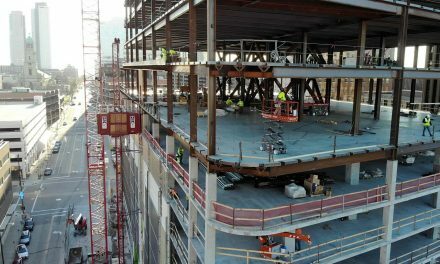 One signature feature of the event is the Milwaukee School of Engineering’s 43-foot replica of the Eiffel Tower. 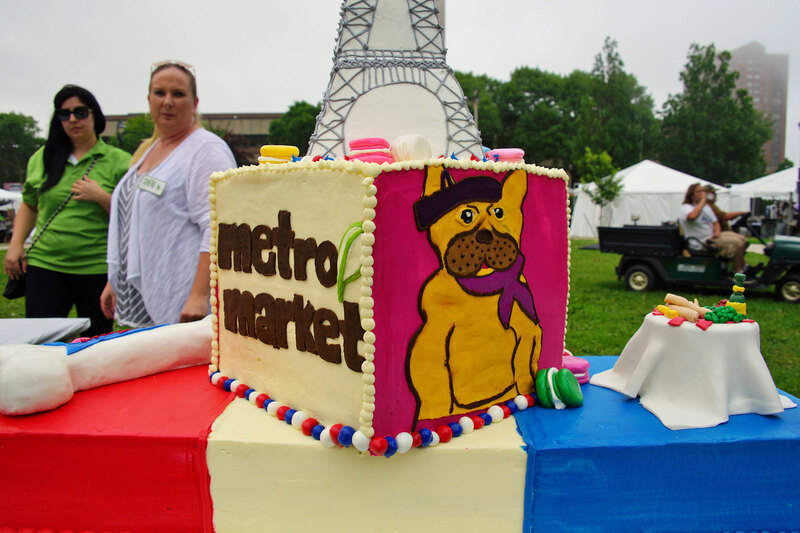 Another annual tradition is the French-themed cake designed by Metro Market. 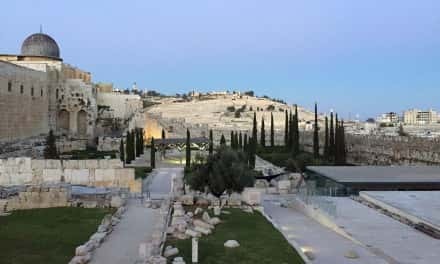 The slices were given to the first 1,000 guests for free. 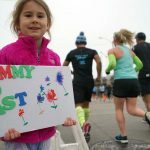 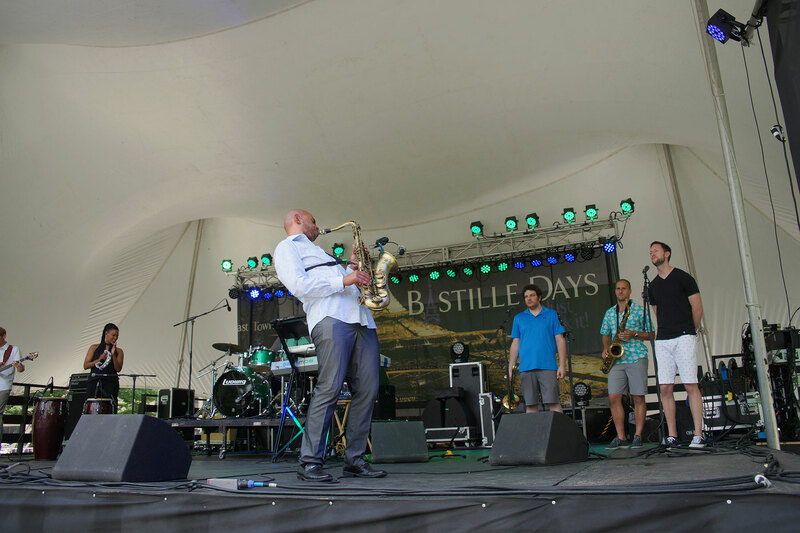 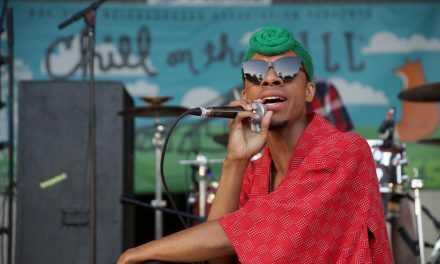 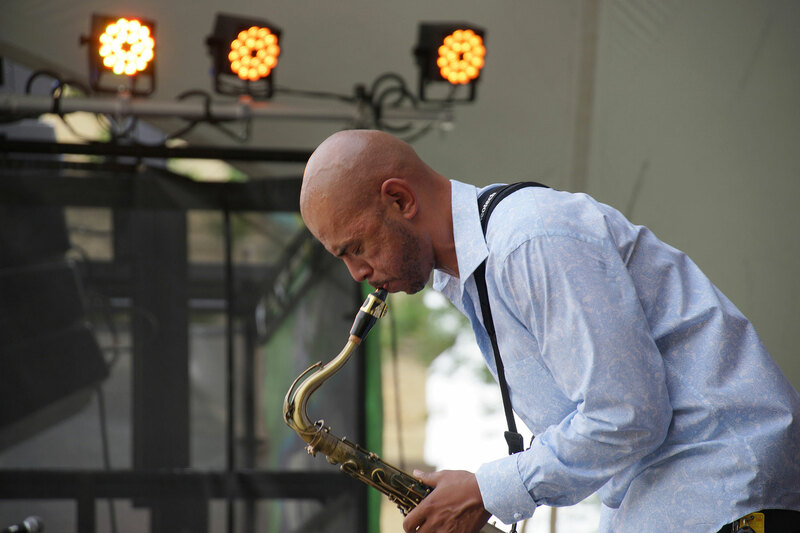 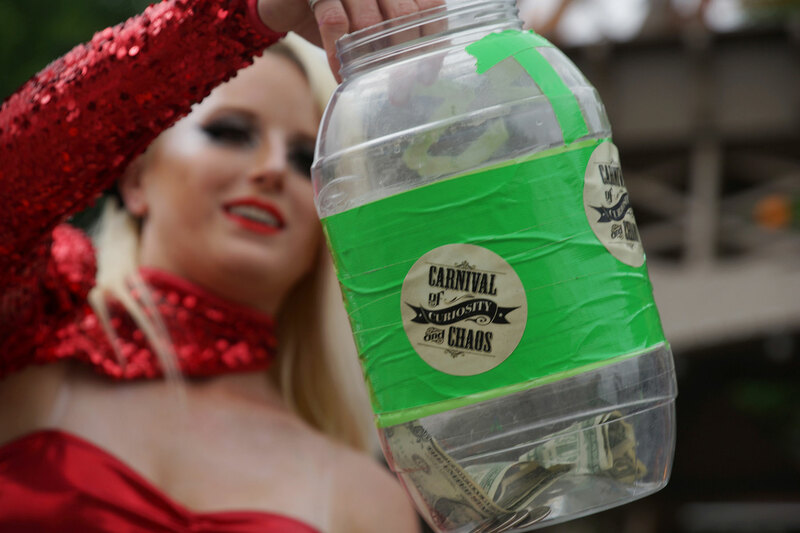 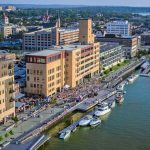 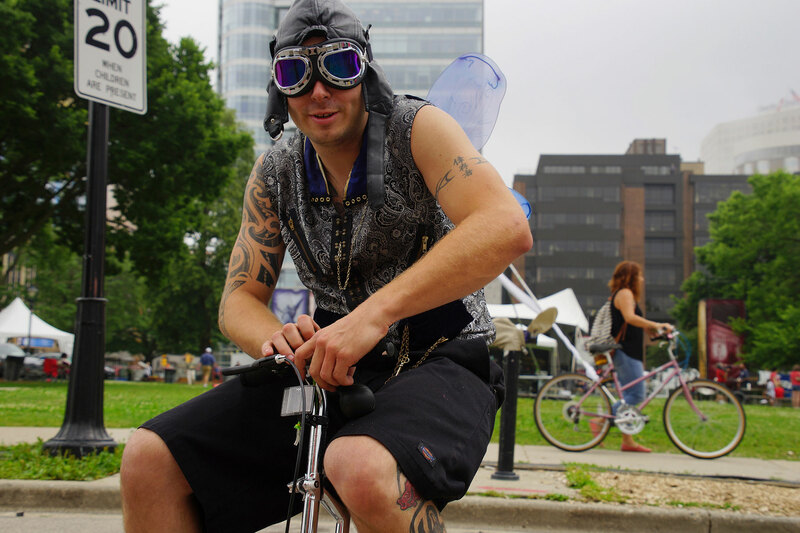 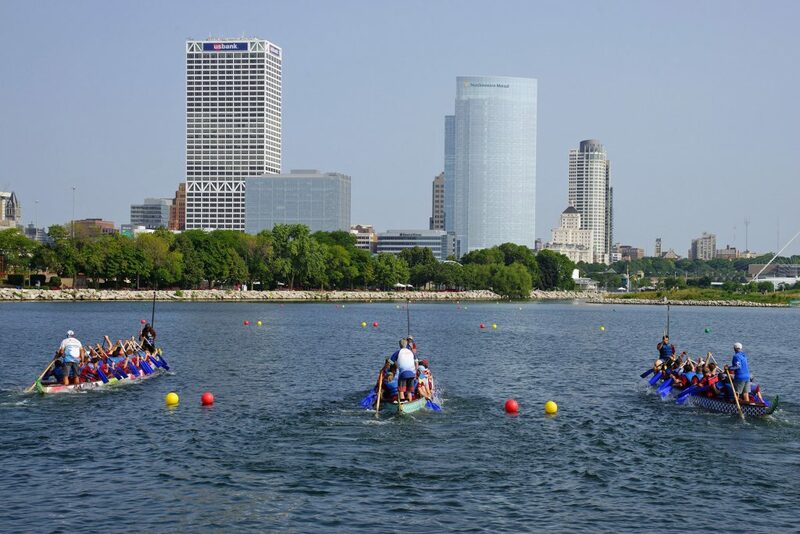 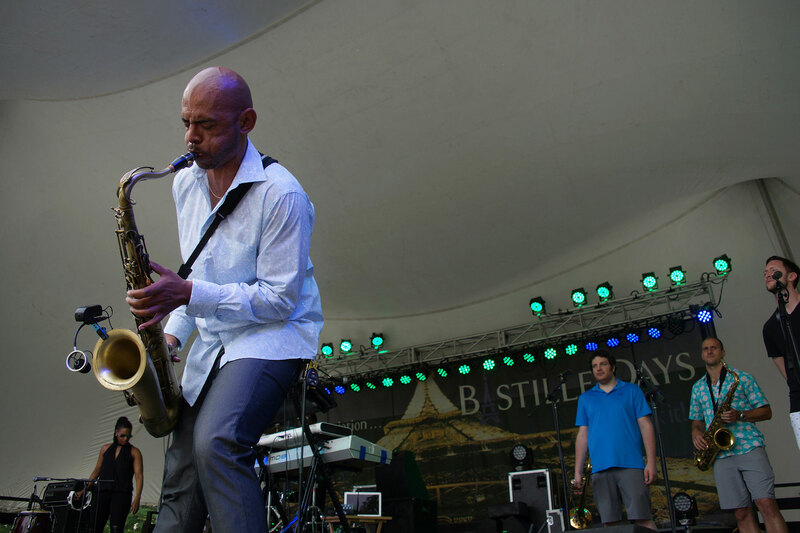 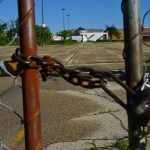 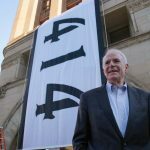 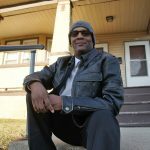 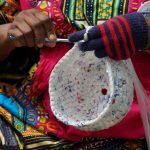 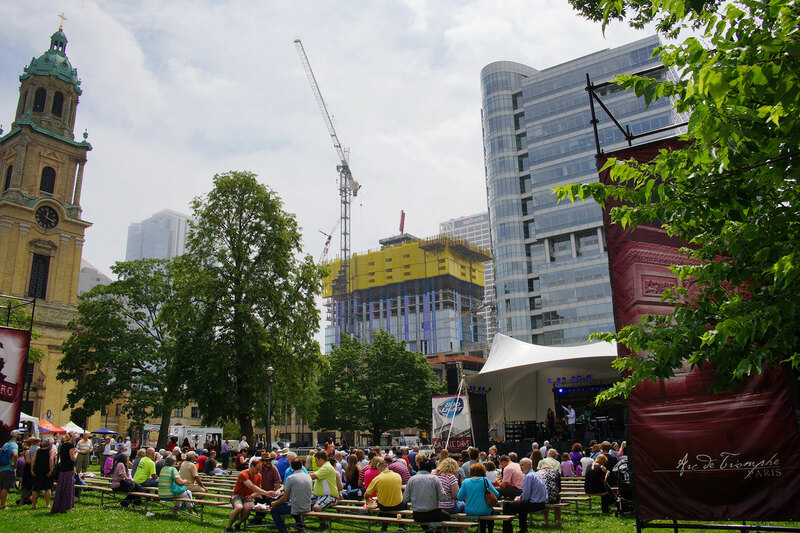 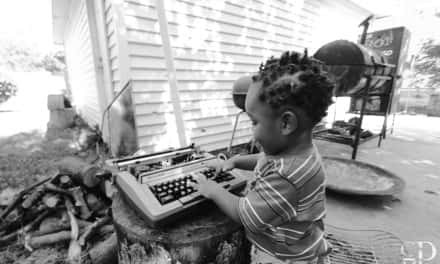 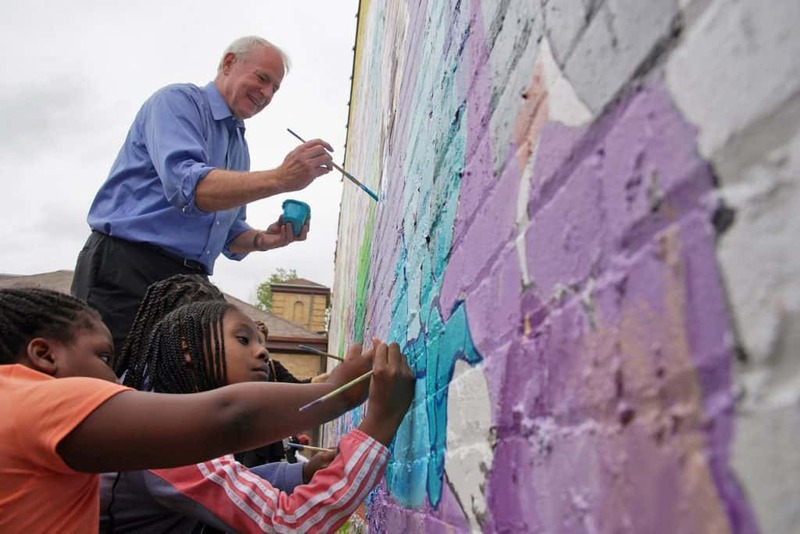 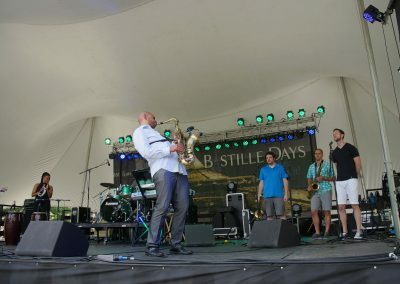 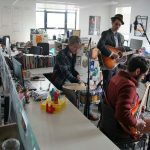 The free festival pays tribute to Milwaukee’s early French connection, through one of the city’s founding fathers Solomon Juneau, who was a fur trader and the first Mayor of Milwaukee. 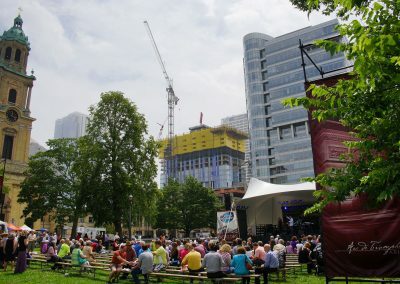 The East Town area comprises what was once Juneautown. 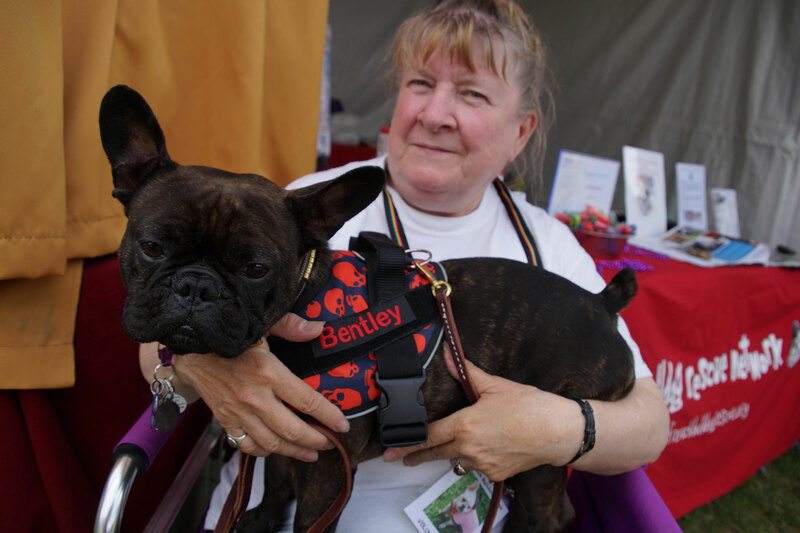 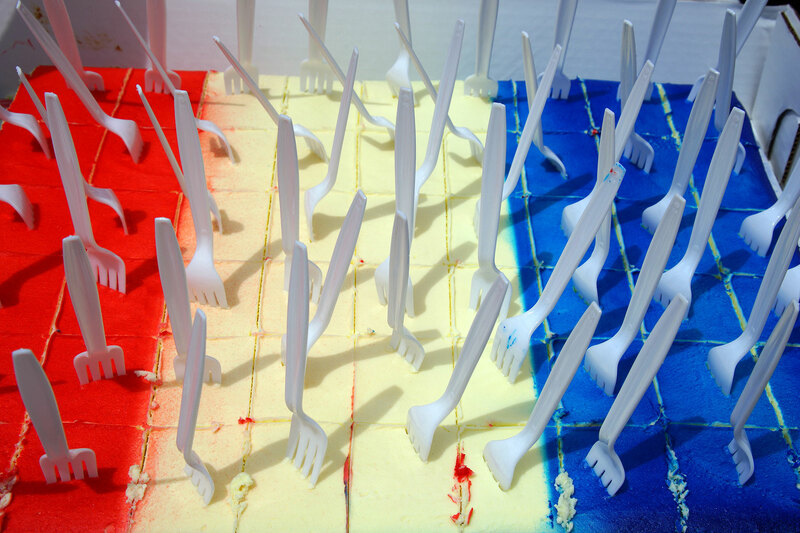 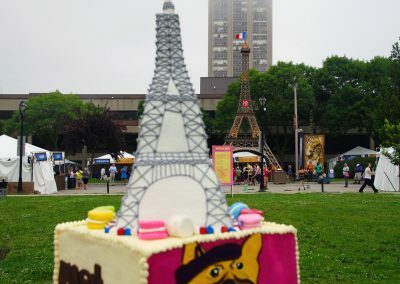 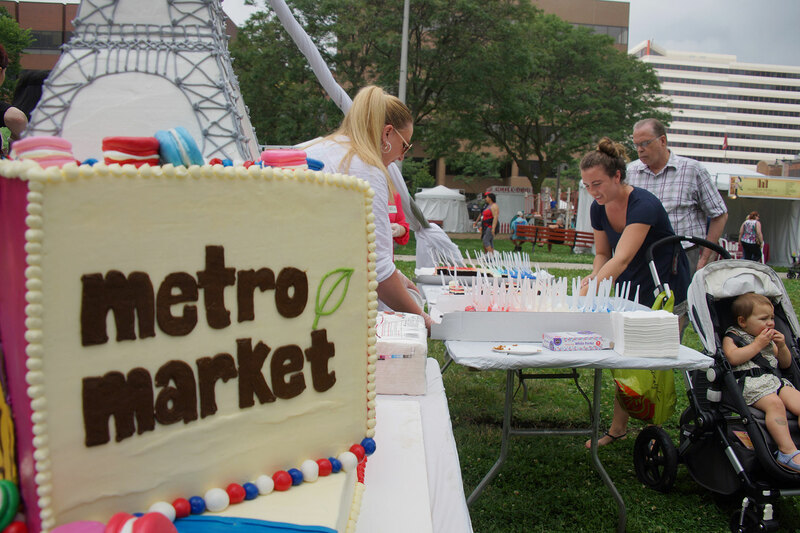 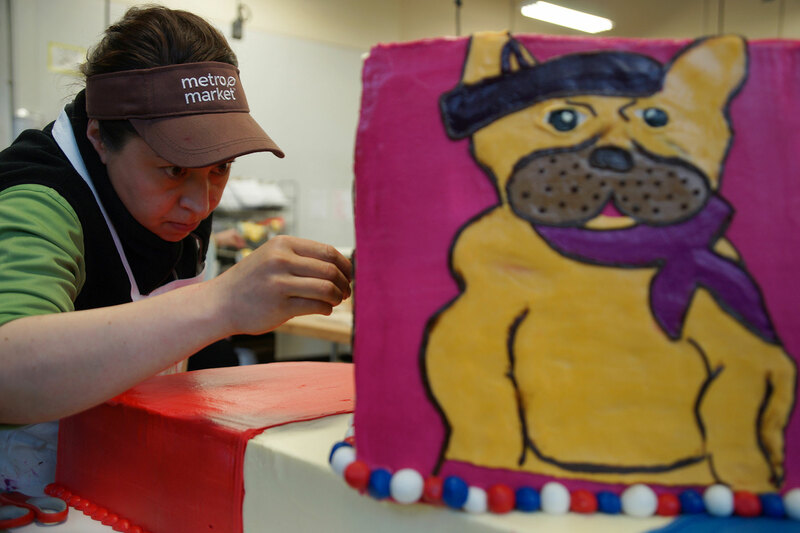 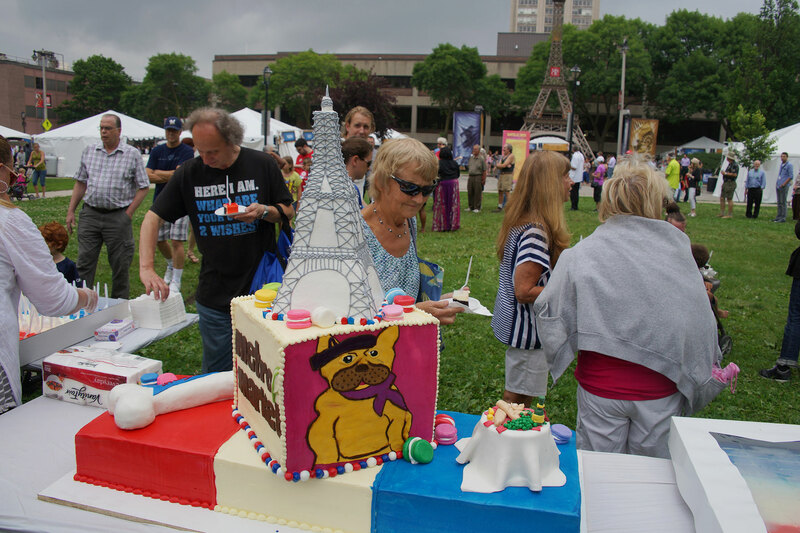 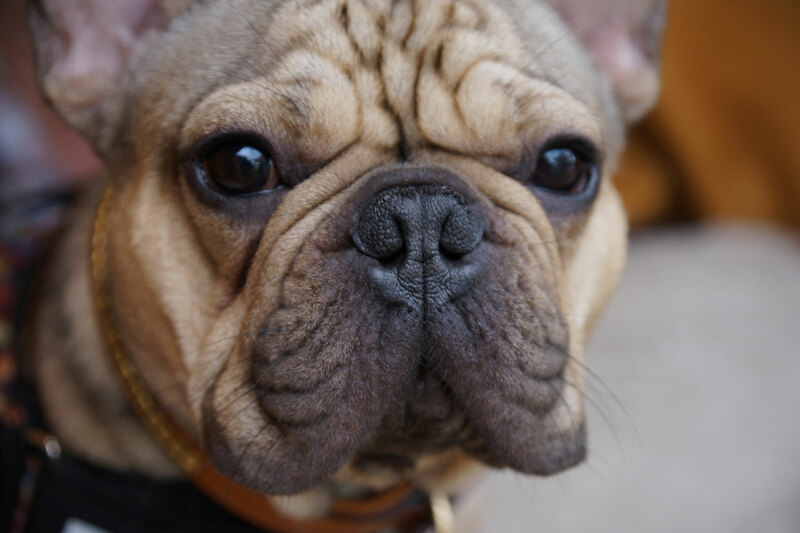 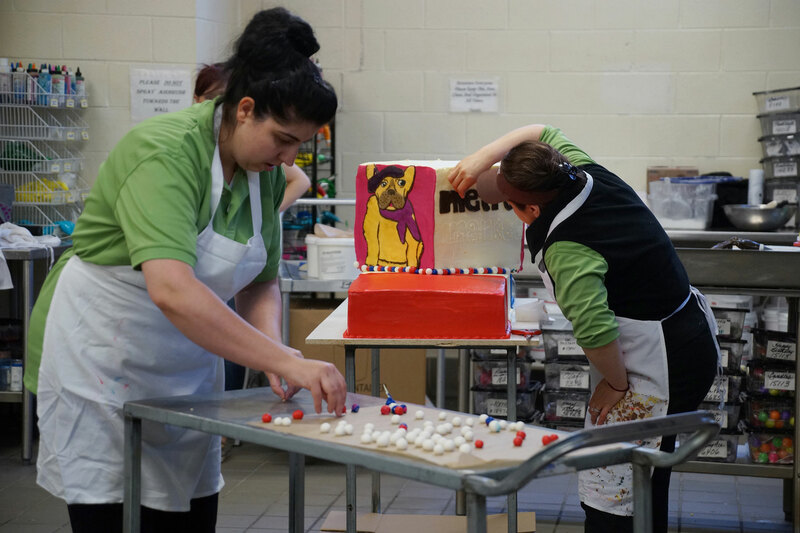 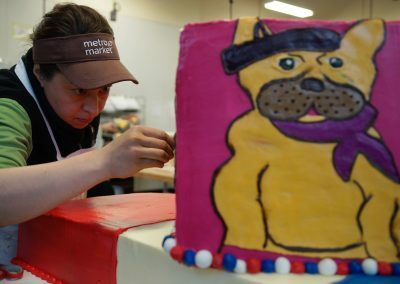 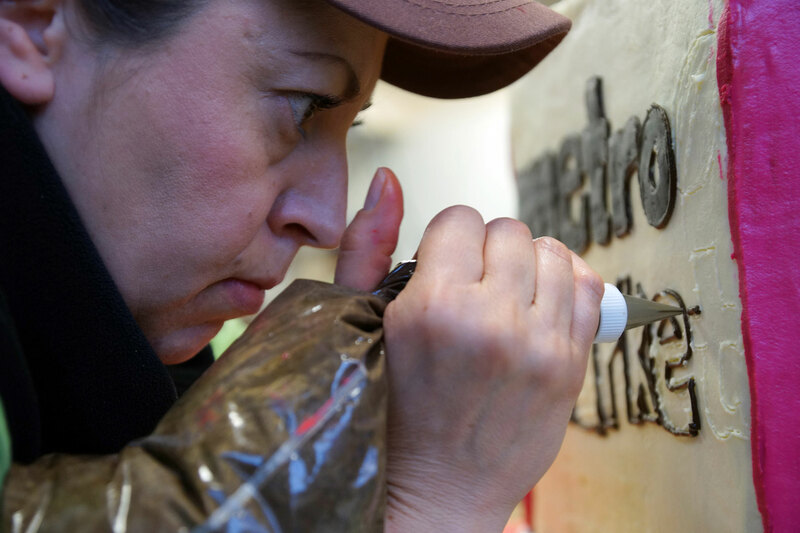 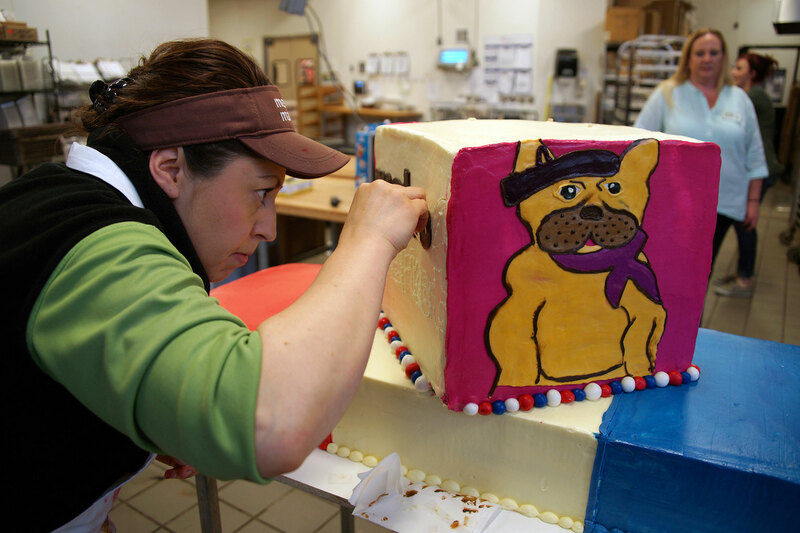 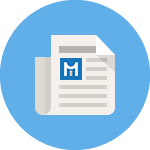 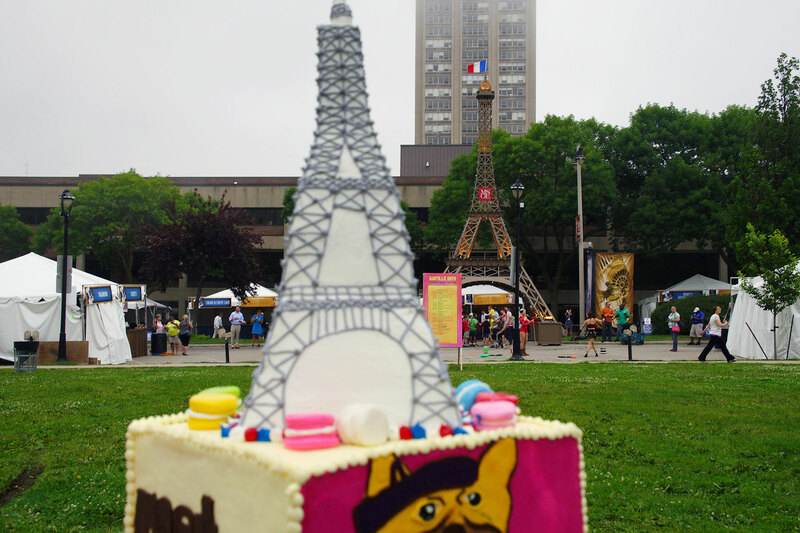 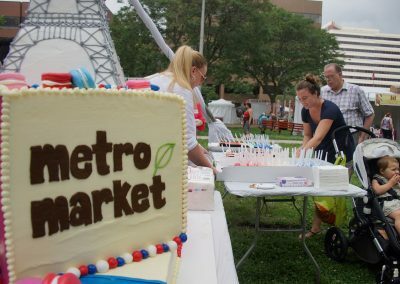 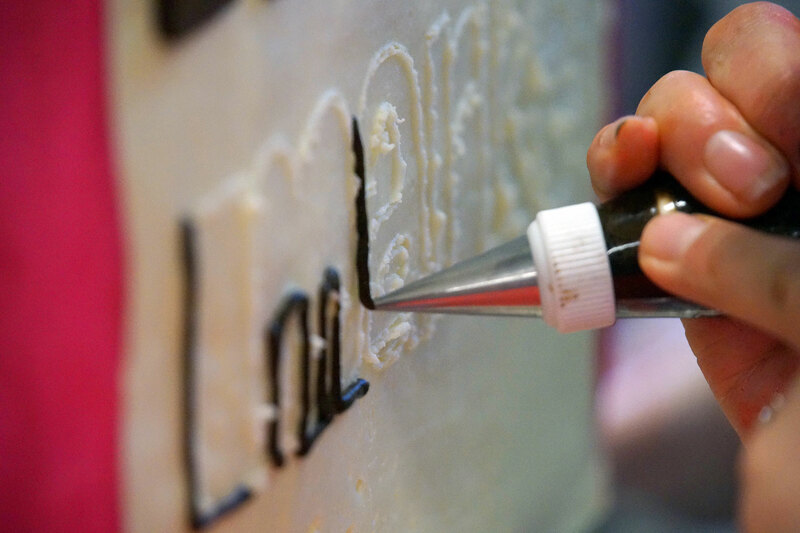 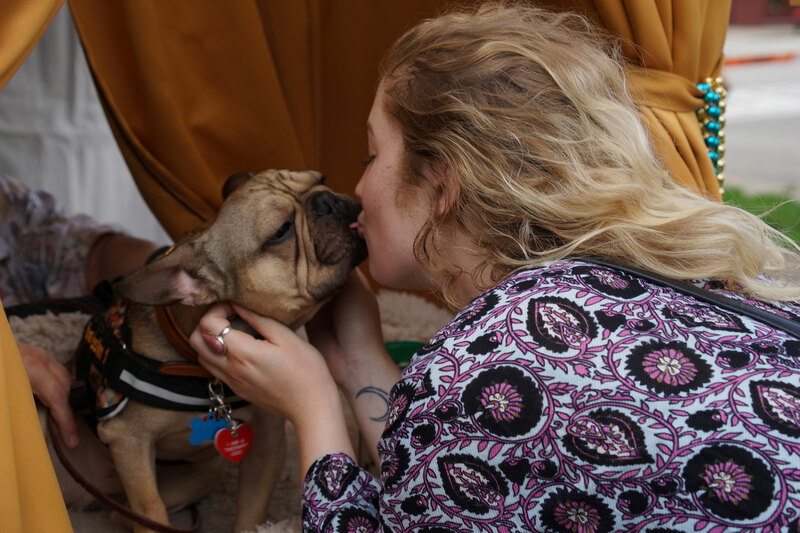 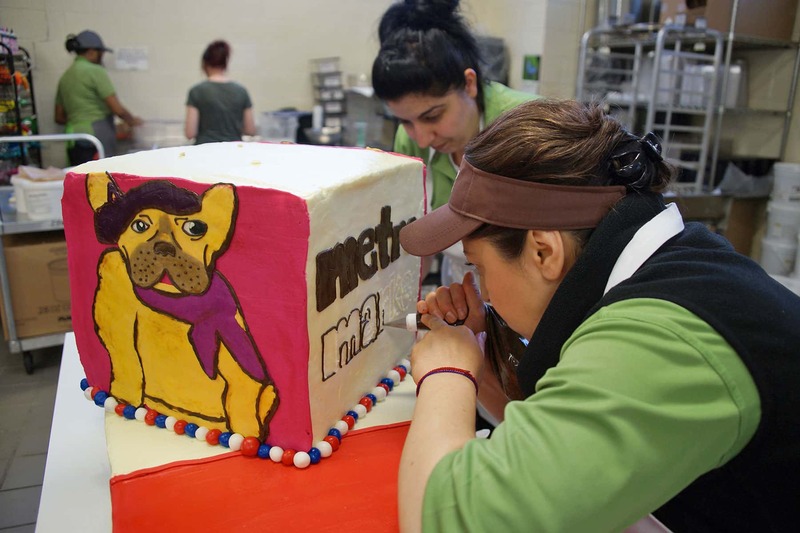 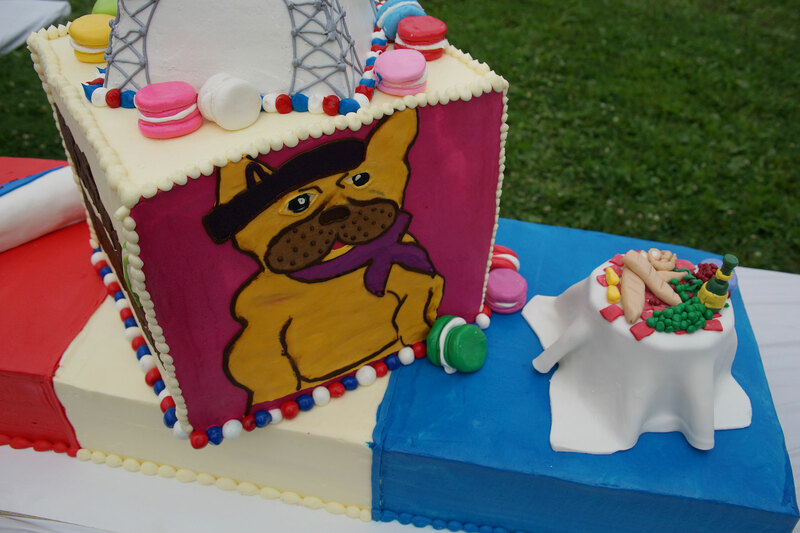 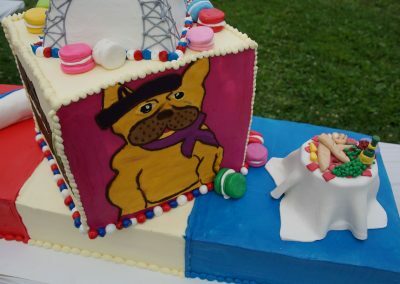 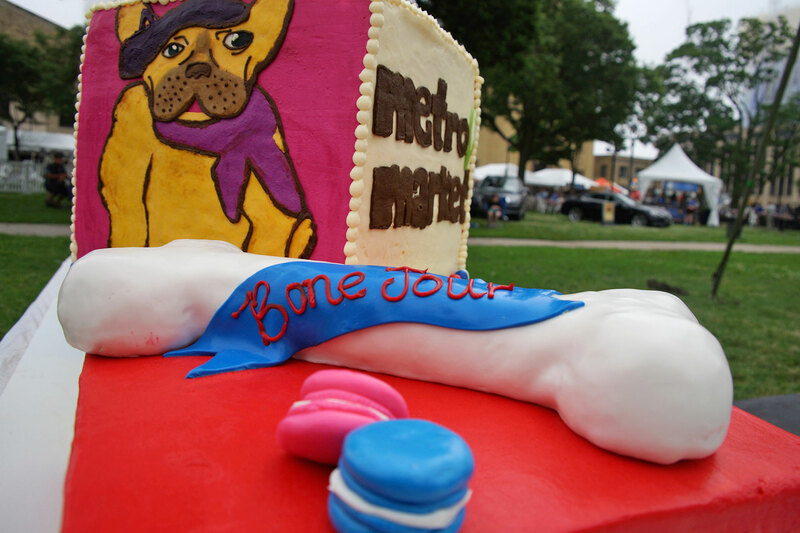 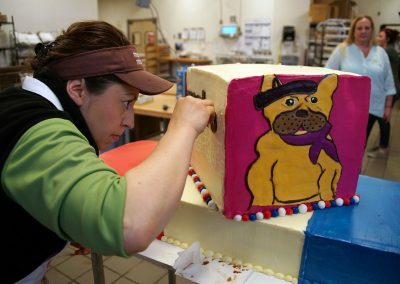 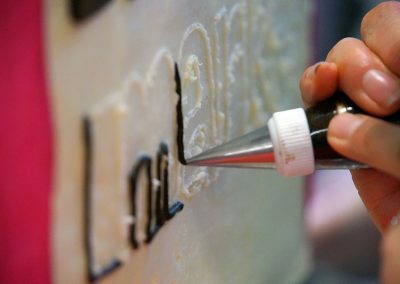 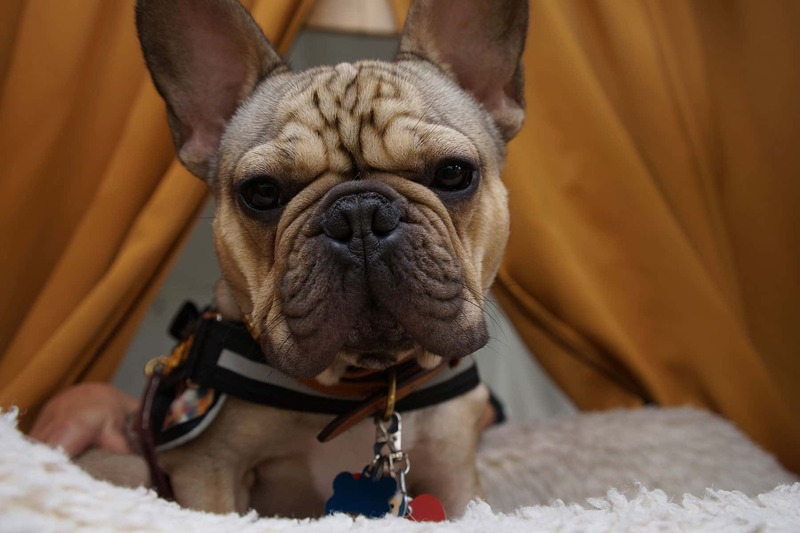 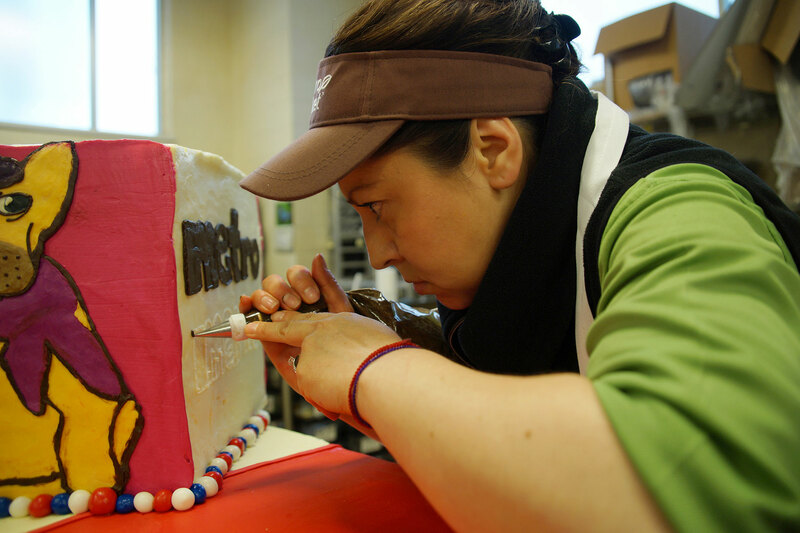 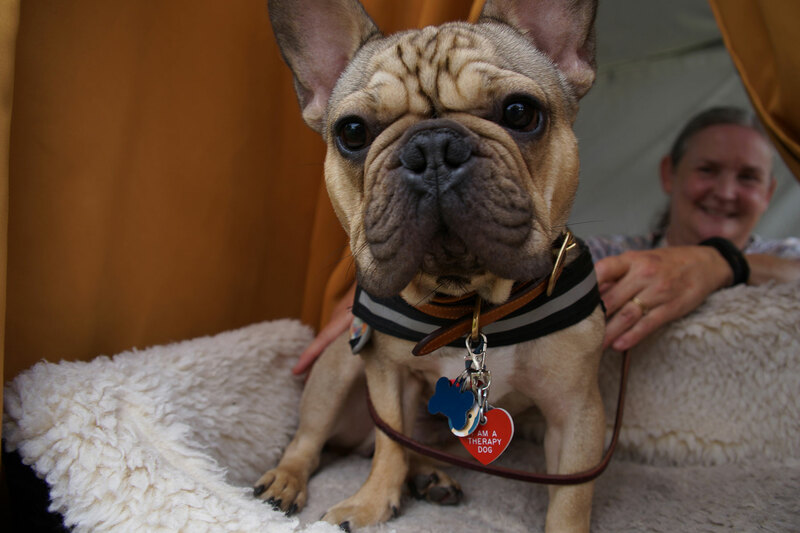 These images feature the production of the “Bone Jour” Metro Market cake, which used this year’s mascot theme of a French Bulldog, and opening day sights as thousands of visitors enjoyed French food and entertainment.